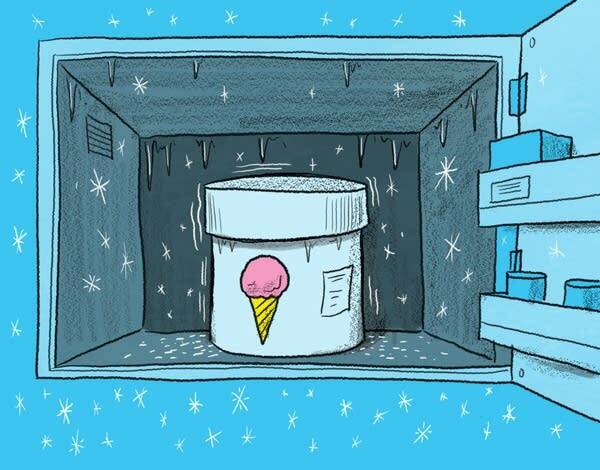 From ice cubes to ice cream, cold things are a crucial part of cuisine. How do we use chill to our advantage? This is part two of our series on the science of cooking, a collaboration with the brilliant foodies at America's Test Kitchen Kids. This episode is (literally) super cool. We're figuring out how refrigerators work and why some of their parts are hot. We're traveling back in time to find out how selling ice became a very big business (for a while anyway). And we'll learn why ice cream makes people thirsty and how to make incredibly delicious paletas. Plus: Our Moment of Um tackles the question, "Why do mints make your mouth feel cold?" For more recipes and information for young chefs, head to americastestkitchen.com/kids to sign up for their newsletter. This recipe comes from America's Test Kitchen's upcoming The Complete Cookbook for Young Chefs. 1. Place half of strawberries, cream, honey, lemon juice, and salt in food processor. Lock lid in place and process mixture for 20 seconds. Stop food processor, remove lid, and scrape down sides of bowl with rubber spatula. Lock lid back into place and process until smooth, about 10 seconds. 2. Add remaining strawberries to food processor and lock lid in place. Pulse until strawberries are coarsely chopped, about 5 pulses. Carefully remove processor blade (ask an adult for help). 3. Pour strawberry mixture into large liquid measuring cup, using rubber spatula to help scrape out mixture. 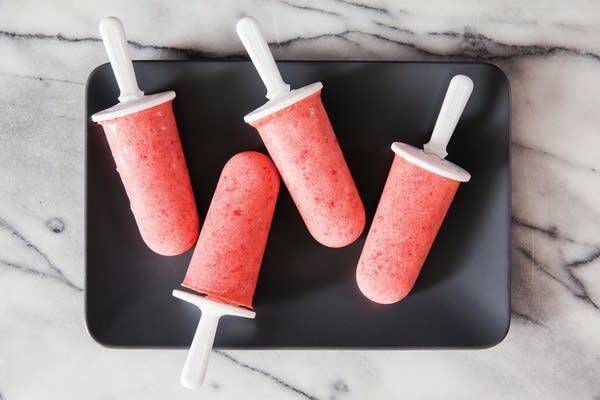 Divide strawberry mixture evenly among ice pop molds. 4. Insert 1 stick in center of each mold and seal with cover. Freeze until firm, at least 6 hours or up to 5 days. 5. Hold mold under warm running water for 30 seconds to thaw slightly. Slide paleta out of mold and serve. 1. Transfer strawberry mixture to liquid measuring cup for easy pouring. Divide mixture evenly among six 3-ounce ice pop molds. 2. Insert 1 stick into center of each mold. Cover molds and freeze until firm, at least 6 hours. 3. When ready to serve, hold mold under warm running water for 30 seconds to thaw slightly. Once paleta thaws slightly, it will slide right out of mold.